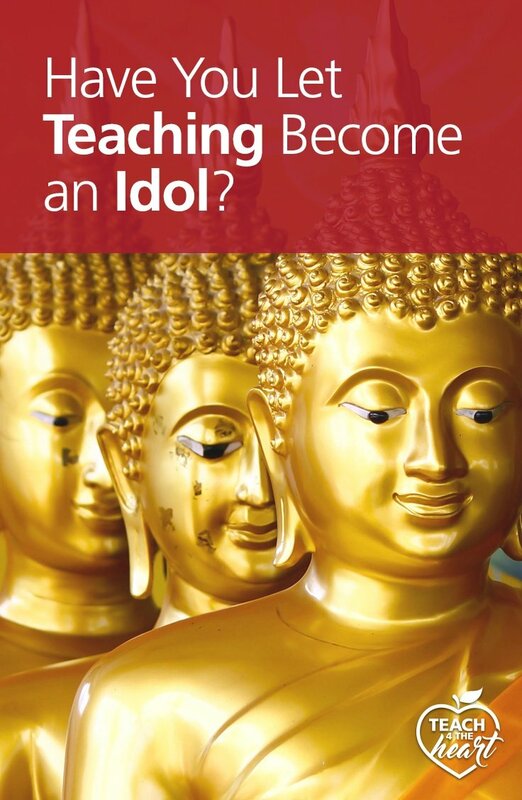 >> Have You Let Teaching Become an Idol? “Thou shalt have no other gods before me.” It’s the first of the 10 commandments – and one we often give ourselves a pass on. No other gods – check. 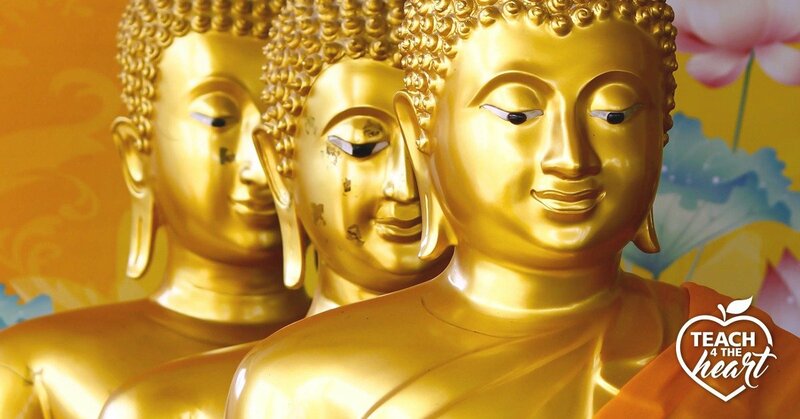 No Buddha, no Baal, no golden calf. We’re good. 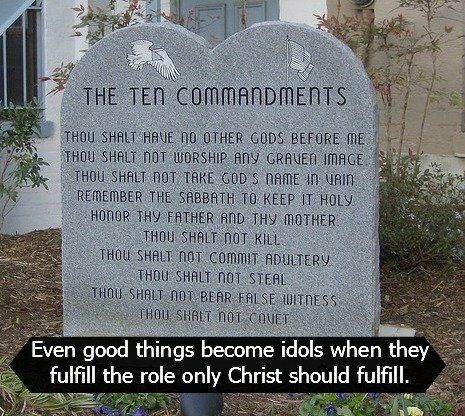 But just because we don’t bow down to any graven images doesn’t mean we don’t have idols. Our idols look different than they did back then, but they’re just as dangerous – possibly even more so because they often disguise themselves as something good – like teaching. When I found out I was expecting a baby, my husband and I were overjoyed. I knew this meant I would need to take a break from teaching, and I had planned on this. But I found myself unexpectedly upset. And maybe it was partly due to the pregnancy hormones, but I think it was more than that – teaching had become an idol to me. Can Good Things Be Idols? I came to this realization during a staff devotional by my principal Bill. I found myself tearing up as the truth of why I’d been upset hit me. I had put so much of my identity, passion, and desire into teaching to the point that I had neglected to keep it in its proper perspective. I had made it the end in itself instead of keeping it in its rightful place – a way to glorify God. God wanted me to change the way I was to glorify Him, and if teaching weren’t an idol, that would have been just fine. But I had put my passion into teaching about God instead of my relationship with God. When Bill recommended Counterfeit Gods, I knew I had to read it. The truths were transformative, and I soon realized that teaching had, indeed, become an idol. We’ve all heard that anything you “put before God” is an idol. But this vague definition allows us lots of wiggle room. I teach because this is God’s call on my life. or I’m trying to raise my children to love God. I’m definitely not putting that before Him. But even something we do for God can start to take the place of God in our lives. And when that happens, we have an idol. Teaching could be an idol if you…. Find your identity in it. We are not supposed to be defined by what we do or what we enjoy. We, instead, are to find our identity in Christ. I felt like I would be lost if I wasn’t a teacher because that had become such a part of my identity.Teaching is not just a job. It truly is a calling – and sometimes an all-encompassing one. We get so wrapped up in it because we care, because we want to make a difference. But if we’re not careful, we can become so engrossed in teaching that it becomes who we are instead of what God has called us to do. If you cannot imagine who you’d be without being a teacher, if you feel like you would not be whole without teaching, that’s a problem. Won’t let God have it. Imagine for a moment that God asked you to quit teaching. What would your response be? While you might be sad, would you be willing to walk away if you knew that’s what He wanted? Or does the very thought of not teaching fill you with fear?Let’s take it a step further: How do you respond when you’re having trouble finding a job, when your evaluation goes poorly, or when you’re not sure you’ll be asked to come back next year? Do you demand God fix these things right away because you HAVE to teach? Or do you trust Him and surrender your desires to Him, believing that if He wants to take teaching away for awhile or change your teaching situation, that that’s okay? Desire it with all your heart. If there’s something you want with all your heart, something you just can’t wait to have or experience, it’s probably an idol. Yes, it is good to anticipate and look forward to the future, but if we want something so desperately that it’s consuming our thoughts and passions, we are putting that up on a pedestal and turning it into an idol. God should be our heart’s greatest desire – nothing else.When I was in college I couldn’t wait to be a teacher. I longed for the day when I stood in front of my first class way more than I longed to be closer to God. Maybe the seeds of an idol were already being sown back then. Identify them for what they are – idols. Consciously choose to no longer allow them to be idols. I decided I would not find my identity in being a teacher. This is a choice of the will, not of the emotions. A conscious decision, whether the feelings are there or not. Choose to find fulfillment and joy in Christ. The whole problem with idols is that they replace the role Christ is supposed to take. He is supposed to be our fulfillment, our joy, our passion, and our strength. When we allow Him to fulfill His rightful roles, the need for our idols quickly diminishes. It doesn’t mean we don’t still value these things, but everything is back in the proper perspective. Coming face-to-face with my own idols was a sobering experience, but the clarity and growth it brought was incredible. I challenge you to examine your own heart and find your own idols. Releasing them will bring you great joy, peace, and contentment. Start your journey with Counterfeit Gods by Timothy Keller. 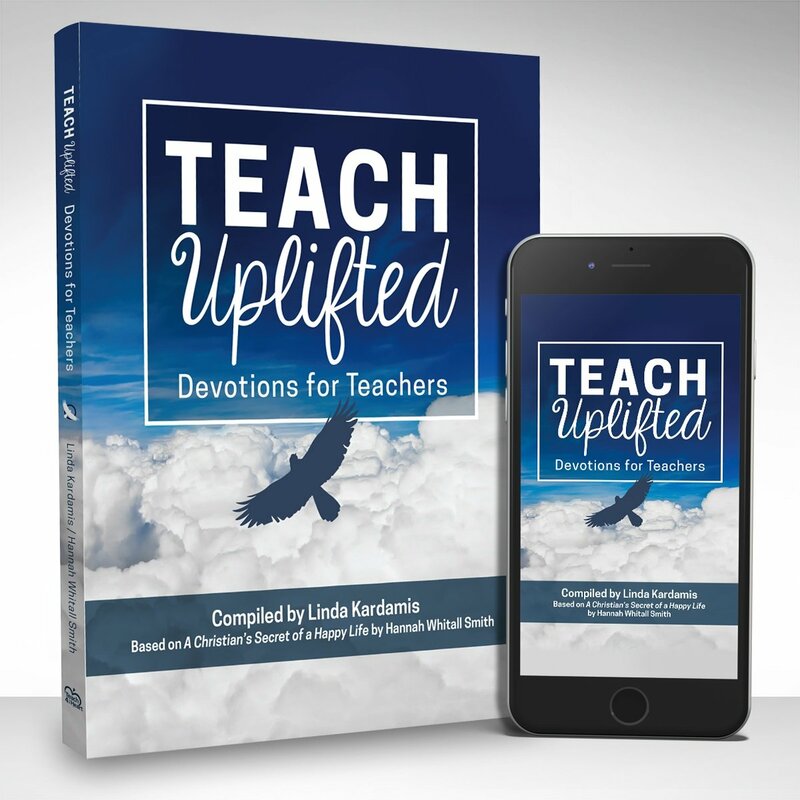 We've also created the Teach Uplifted Devotions for Teachers to help you grow more in your trust in Christ. These devotions were life-changing for me, and I pray they will be for you as well. ​Find out more about the Teach Uplifted Devotions for Teachers here. This post contains affiliate links. If you purchase products from Amazon after clicking on these links, Teach 4 the Heart will receive a small commission at no extra cost to you. Thanks for helping support Teach 4 the Heart in this way. Sometimes good things can become idols when we allow them to take up room in our hearts reserved for God alone. I am examining myself to see what idols I have erected on the throne room of my heart. Even little things, good things can become idols. If you read this, take time to listen to the song. I recently took another step in dethroning my Idol of Fragrances. I exposed it to others and Have given it over to God. I don’t know what the end result will be (if ill be able to wear them or not) but I am happy to come back to a pure heart of unclouded worship. I can relate to this as a Muslim. We say Lailaha Illalah – There is no ‘god’ but God, ‘god’ referring to anything that becomes a love or obsession or idol and takes the place of God in our hearts be it work, a person, our reputation…. While these things are allowed, may be good and enjoyable they should never replace the one true God. Thanks for the reminder! This post is so true and also so convicting!! I definitely consider teaching and writing to be my ministry, but if they get more attention from me than the attention I give to God, then my priorities are out of whack. Thank you SOOO much for this post!